I've got a yummy salad to share with you today that is perfect for those of you trying to clean up your diet in the new year. 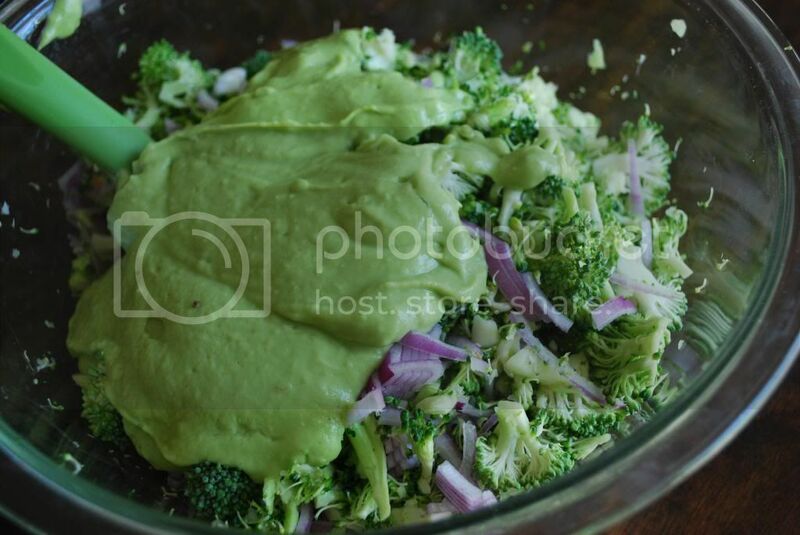 I came up with this salad during the last cleanse I did when I wanted something filling and satisfying. 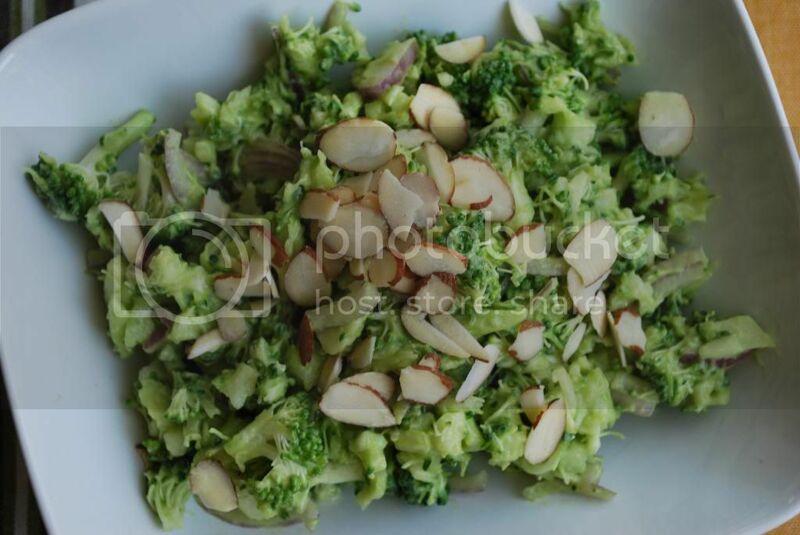 The combination of broccoli, avocado and almonds was just right for a great raw savory meal. Even when I'm not cleansing, I enjoy this salad as a filling lunch. This is also a great dish to share at a potluck! The only thing you want to be careful of, is not letting the dressing sit out since it will oxidize. I also really appreciate how simple this recipe is. Cleansing or not, I often don't have a lot of time to prepare my lunch- I'm too busy chasing kids, trying to feed them and convince them a nap is a good idea- to make anything complicated. Other than some quick chopping, my blender does most of the work here. This salad will also keep well in the fridge as long as you add the dressing before eating. 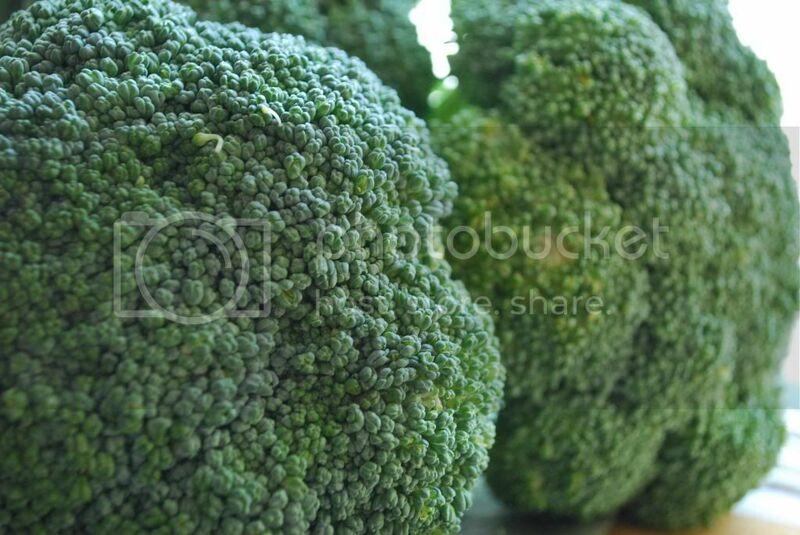 Store the shredded broccoli and onion separately and toss only the portion you'll eat. 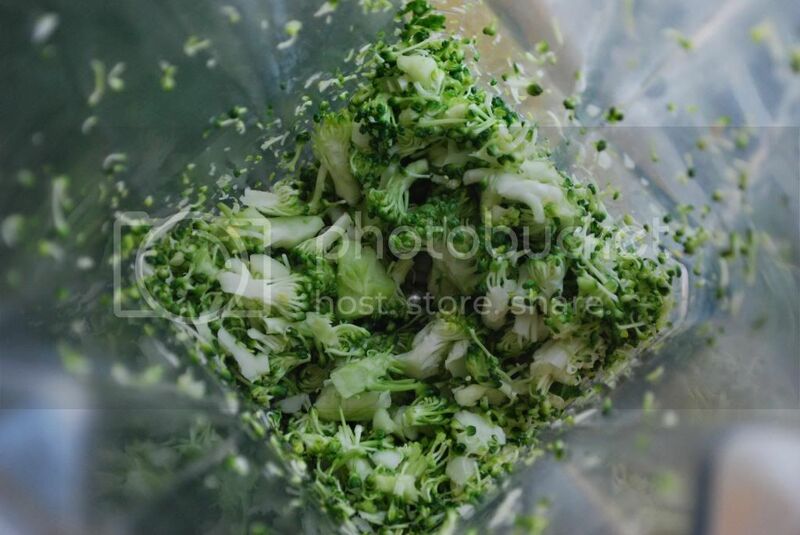 In a blender, place 1-2 cups of broccoli at a time and run on low until you have small chunks. 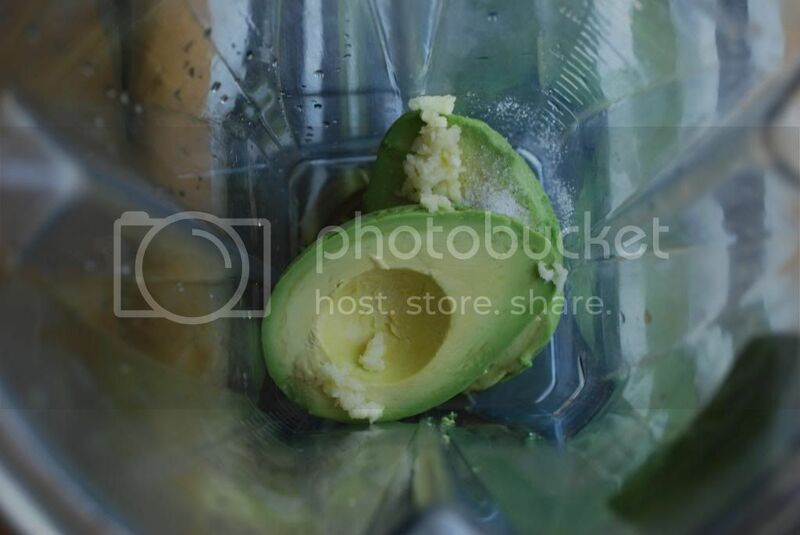 For dressing, combine all ingredients in blender and thoroughly blend. 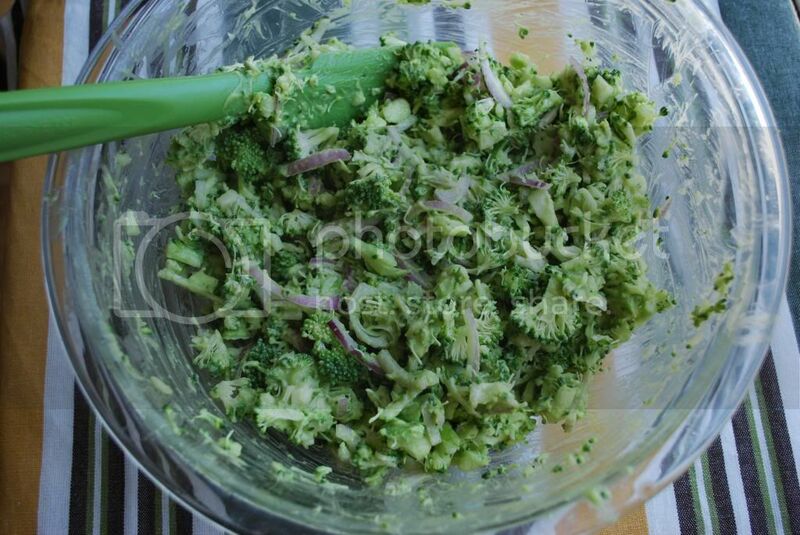 Combine dressing, broccoli and onions in a large bowl. 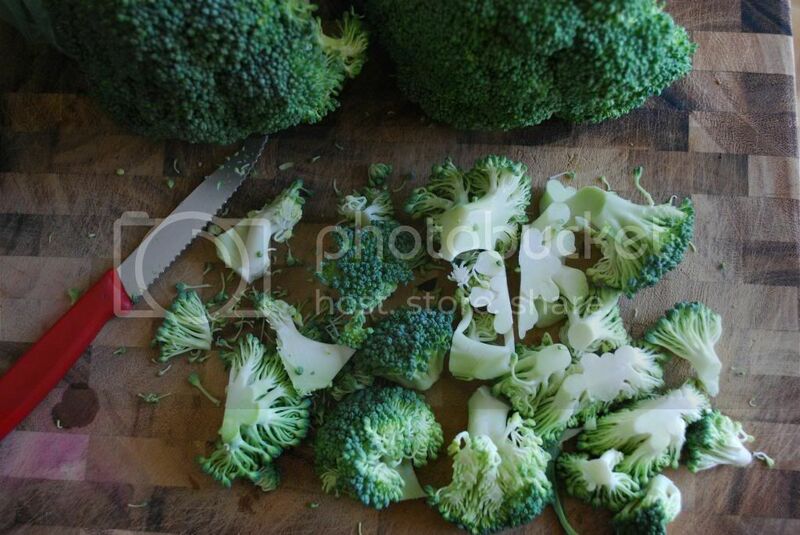 Stir until broccoli is completely coated. 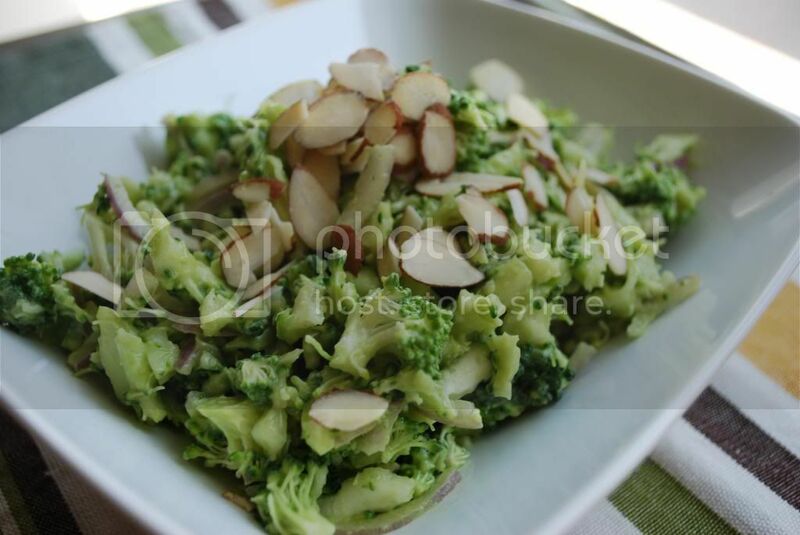 Sprinkle top of salad with almonds and serve. This salad is another great way to get more veggies into your day! This post is shared at Homestead Barn Hop, Melt in Your Mouth Monday, Natural Living Monday, Allergy Free Wednesday, Whole Foods Wednesday, Real Food Wednesday, Gluten Free Wednesday, Tasteful Tuesdays and Fresh Foods Link Up. 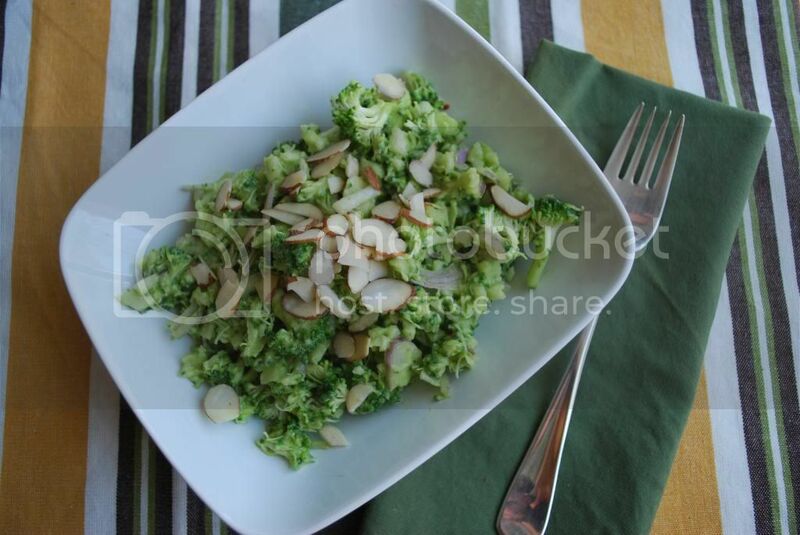 I am featuring your recipe this week on AFW, thanks for sharing it, I am eager to try it! Thanks Tessa! I'll be sure to stop by again tomorrow! this looks so tasty!!! Thanks for linking up to Tasteful Tuesdays at Nap-Time Creations. Just wanted to let you know that you will be featured at this weeks party. Can't wait to see what you will link up this week!